Wall fixed Basketball Goals can be supplied for flush fixing to sportshall walls via wooden battens or for projection fitting with steel wall brackets. 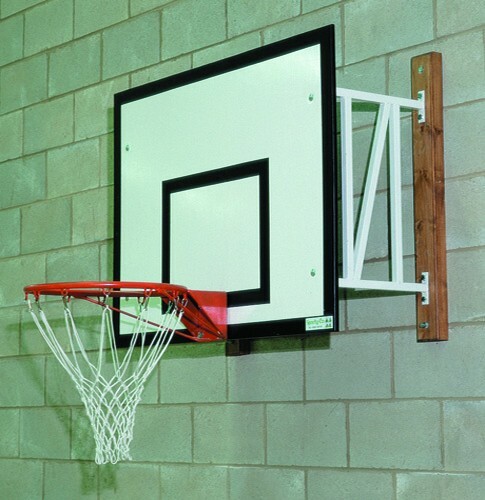 Backboards are as standard timber 900mm x 1200mm and are supplied with standard rings and nets. These goals can be supplied only or can be installed. Discuss your sports hall requirements with us. Note: We can also install side folding or ceiling mounted basketball goals.